In many ways running is beautifully simple. Yet knowledge, training, and coaching can dramatically increase your efficiency and enjoyment while reducing the risk of injury and burn-out. The Way of Running focuses on two main areas: movement technique (running form) and breathing technique. While technique will never replace training, it’s vital because it makes training well possible in the first place. All other things being equal, the runner with the superior technique will always prevail. Art has competed in, and coached for, every running distance from 100 meters to 100 miles. 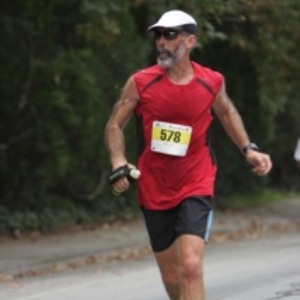 His love of running is matched only by his love of helping other runners surpass their personal goals. His holistic, comprehensive approach to running creates positive, lasting changes in his clients' biomechanics, physical capabilities, and mental attitudes. Art is passionate about combining running science, training theory, and practical experience with the global history, philosophy and spirituality of running. He is at his best when drawing from all of those worlds and putting them directly into practice; he can make an otherwise complicated analysis clear, direct, and immediately understandable. The effect it has in boosting a runner’s confidence can be dramatic. Beginner, New Intermediate and Experienced Intermediate Runners. 5K up to Marathon/ Ultra-distance. All you need is a basic pair of running shoes and the willingness to head out the door. Success. Coach Art Ives has been notified of your message.